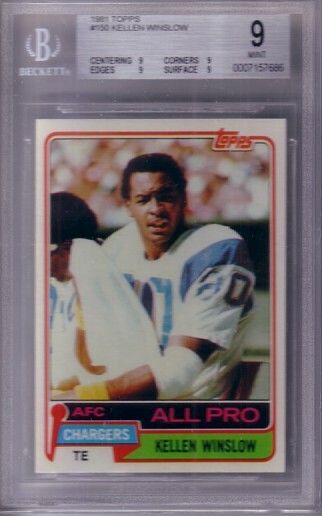 Kellen Winslow San Diego Chargers 1981 Topps Rookie Card #150 graded 9 (MINT) by Beckett Grading Services (BGS). The centering on 1981 Topps cards is terrible so this is an extremely high grade. ONLY ONE AVAILABLE FOR SALE.